Announced as a speaker at the first DigiByte Global Summit next month, Block 30 Labs is at the forefront of bringing tokenised asset trading to a mass scale, collaborating with DigiByte blockchain. With its headquarters in San Diego, at the heart California’s tech hub, Block 30 Labs is developing tools to enable digital asset indexes in the blockchain era. The team is a network of global blockchain technologists, computer scientists, economists, financial engineers, researchers and global media alumni from Yale, Harvard, Georgetown, Wharton, Duke, Stanford, UCSB and UCLA — all gathered to develop top-notch financial and trading platforms built on blockchain. 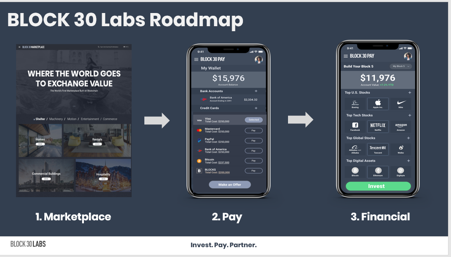 Block 30 Labs is developing three core applications of decentralised blockchain technology for global adoption by consumers, merchants and the Fortune 500 enterprises for release in their 2019–2020 roadmap. To kick off the project, Block 30 team studied the Alibaba platform and its success in the Chinese market. Block 30 CEO Brian McLaren Foote says the team drew inspiration from the way Alibaba streamlined new technology to create an innovative and efficient consumer experience. The Chinese giant is indeed one of the most pertinent references in terms of e-commerce, digital payments and interoperability — and Block 30 hopes to replicate this comprehensive and innovative approach for the digital assets market. The speed and convenience of mobile as a shopping and payment gateway keeps attracting more and more users each year. The use of blockchain technology in ecommerce and digital payments can bring these services to the next level in an already very profitable market: recent data shows that worldwide mobile payment revenue should exceed $1 trillion in 2019 and more than 2.1B consumers are expected to use mobile payments this year. The degree to which online and mobile sales are growing shows the importance of developing a marketplace capable of dealing of tons of data in a commercially viable manner. The Alibaba Group, Block 30’s role model, is reportedly studying the implementation of blockchain technology into cross-border supply chains. The group already deploys blockchain for other functionalities in their platforms, as well as Internet of Things (IoT). The main problems in ecommerce nowadays are related to payments checkouts, cybersecurity and supply chain management. By putting an end to intermediary bodies, blockchain can transform ecommerce into a much faster and safer process. The advantage of using blockchain in ecommerce is the integration and ownership of digital assets — challenging traditional monopolies and protecting users. For example, retailers can launch ICOs directly on the platform and distribute tokens among their customer base. Credit card brands like MasterCard are reportedly working with blockchain to make its market payment systems more fit for use. The Block 30 index helps to accurately measure the value and performance of digital assets. It is one of the very first US indexes to help investors track multiple factors in the market beyond Bitcoin. With a growing number of Security Token Offerings (STOs) in 2019, the market requires increasingly sophisticated tools to assess the real value of digital assets. “We hope that the BLOCK 30 Index can help improve industry coverage “Beyond Bitcoin” via global media, government, research and regulatory institutions — while also providing better safeguards and clarity for retail investors seeking early exposure to the front-end of a potential economic cycle,” says Brian Foote. 1. 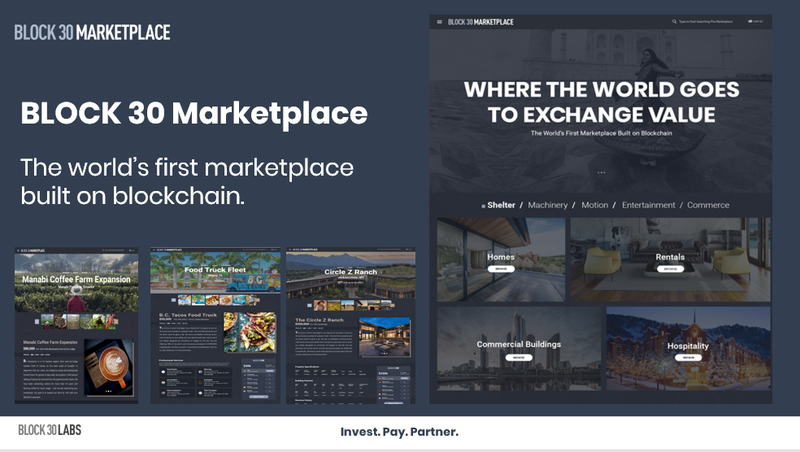 The BLOCK 30 Marketplace: the world’s first Web 3.0 marketplace built on blockchain. The platform will pair global buyers and sellers for exchanges of value on the blockchain, including: concert tickets, automotive, hospitality, businesses, land, farms, wineries, fractional ownership, mixed use development and commercial real estate. 2. 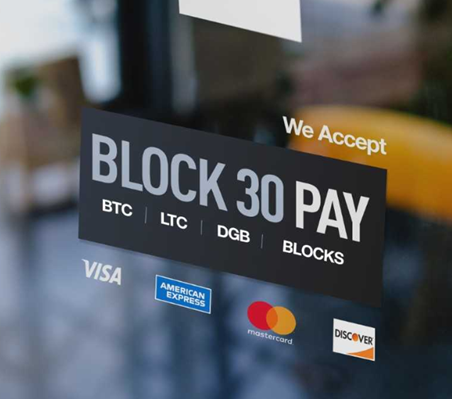 The BLOCK 30 Pay Digital Wallet, which will be available at checkout on the BLOCK 30 Marketplace to help global customers and merchants begin to adopt and use digital assets vs. credit cards through an asset called BLOCKS, powered by DigiByte. 3. 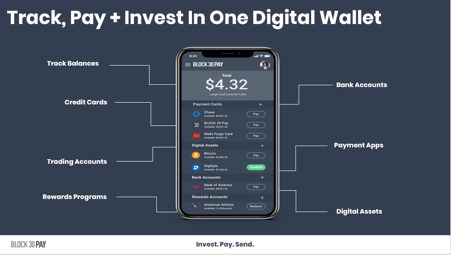 The BLOCK 30 Financial Division, which will provide BLOCK 30 Pay digital wallet holders the ability to invest in customised security tokens (ex: BLOCK 5, BLOCK 10, BLOCK 30, etc.) directly from their mobile phone. In the Web 3.0, the internet will come back into the hands of its users, thanks to decentralisation and distributed consensus protocols. The new model emphasises sharing and collaborating among users in order to concentrate data and operability in the hands of a few companies — known nowadays as ‘big tech’. But, in order to function in the Web 3.0, blockchain platforms will need to address interoperability — a feature Block 30 Labs is priming. Being interoperable means that a specific blockchain network is able to recognise and operate with others. Without this, blockchain nodes are isolated from those outside, secluded in their own network. The aim is to allow different blockchain projects to communicate with one another, regardless of their structures, offering more possibilities for users and greater versatility for different projects to be integrated. Block 30 platforms are built on DigiByte blockchain, which is the longest and fastest blockchain currently available in the crypto market. Despite not being among the most prominent cryptocurrencies, DigiByte holds the potential to be so much more than a digital currency, particularly because of DigiAssets. For over 2 years, the DigiByte team has been working on this feature that allows other organisations to build their projects on top of DigiByte. DigiByte was designed to scale on-chain, hence maintaining its core aspects of security and decentralisation. Partnerships and collaborations on new projects to change the way people transact and communicate are absolutely vital to the development and wider adoption of DigiByte. The full digital asset marketplace addresses sectors beyond just store of wealth, such as supply chain management, financial services, social networks, data security, digital identity, gaming, mediums of exchange and privacy. A true representative and comprehensive index should enable exposure to all major thematic sectors, rather than just a small selection, and begin to mirror some of the key sectors that drive global capital markets indexes. 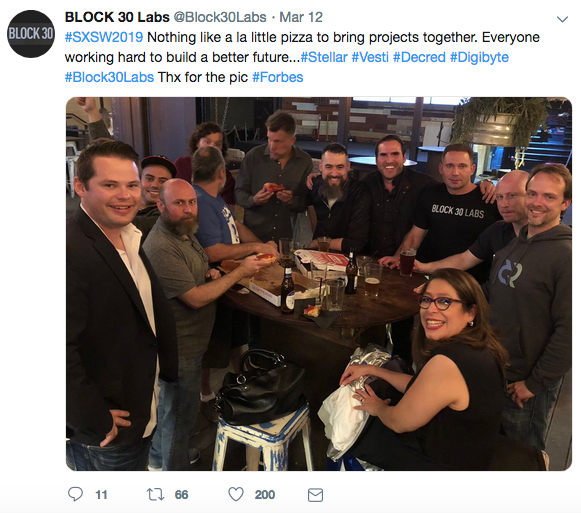 In light of this, DigiByte’s DigiAssets were presented as the perfect fit to develop Block 30. Brian Foote joins a group of high-calibre speakers presenting at the Summit discussing how a future powered by decentralised technologies and Digibyte will look. Confirmed speakers include DigiByte founder Jared Tate; Official DigiByte PR Stefania Barbaglio; Rudy Bouwman, the founder of DGBAT, the DigiByte Awareness Team; the founders and lead developers of V-ID and Antum ID; and Vertbase Founders, Justin Seidl and Stuart Menzies.